If you are looking for a Schedule of Events, Event Map or 5k Race Map, or need an Application for an event or wish to be a vendor, please visit this link. 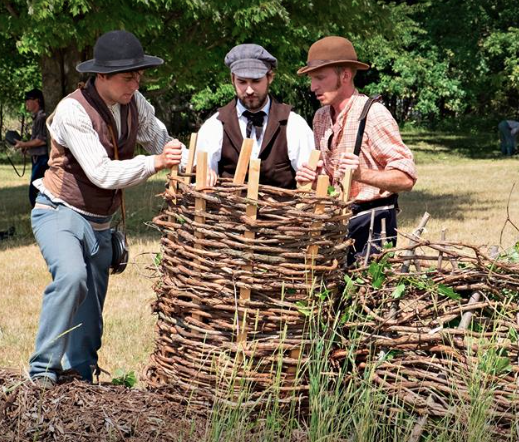 The Civil War encampment this Memorial Day weekend on Oak Island will feature a two day long “School of Instruction for Engineers / Pioneers”. Engineers were one of four branches of the Army including the infantry, artillery and cavalry during the American Civil War. 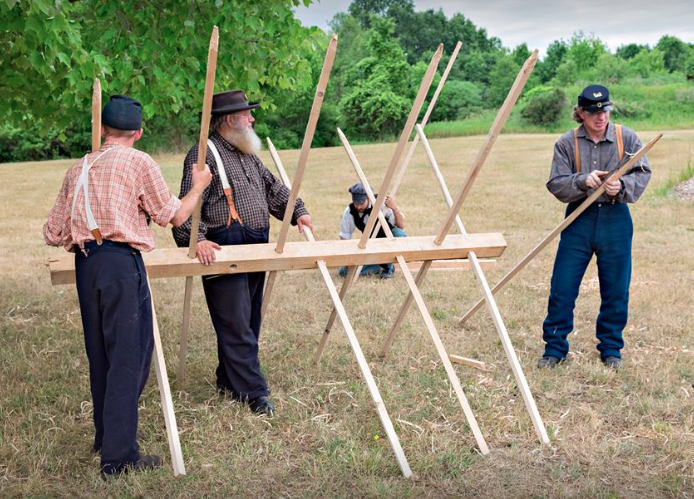 The general public will be able to see Civil War reenactor participants build some of the various defensive pieces during this school of instruction. Pioneers were infantry troops that were skilled tradesman that acted as “infantry engineers”, one per every 100 man company if they were available. The role of the engineer was extremely vital for the Army to move across the land and fight on the battlefield. The engineers were instrumental in clearing paths through woods, laying down “corduroy roads” on muddy surfaces, building wooden trestle bridges and transporting / deploying pontoon bridges over rivers. Defensive works needed the guidance of the engineers to construct gabions (three foot tall, round wicker containers filled with dirt to place around artillery batteries), and direct the building of field fortifications especially towards the middle through the end of the war when trench warfare was more prevalent. Chevaux-de-frise (or Friesian horses) were anti-cavalry defensive pieces built by engineers that were often logs with projecting sharpened spikes alternating every foot out of the timber. When placed in front of defensive works they acted as a barrier or obstacle for both cavalry and infantry offensives. Abatis were large branches that were placed in front of works as well to serve as a obstacle to slow down an advance of troops. Also in front of such works were shallow rifle pits (much like foxholes) that the defenders would use to repel the offensive forces. Signal towers were often constructed behind the lines for both observation of the enemy and use by the signal corps to transmit semaphore messages with flags. Lifting gins, with their pulleys, were used to lift heavy objects such as cannon barrels. During the course of the “School of the Engineer / Pioneer”, the public will be able to witness participants rotating through 45 minute learning sessions on how to build gabions, chevaux-de-frise, lifting gins, dig rifle pits and a construct a signal tower. The Engineers’ Tool Depot will feature hand tools, entrenching / felling implements and cartography (map making) equipment. Witness history yourself, see their camps, examine their personal belongings, food and equipment. 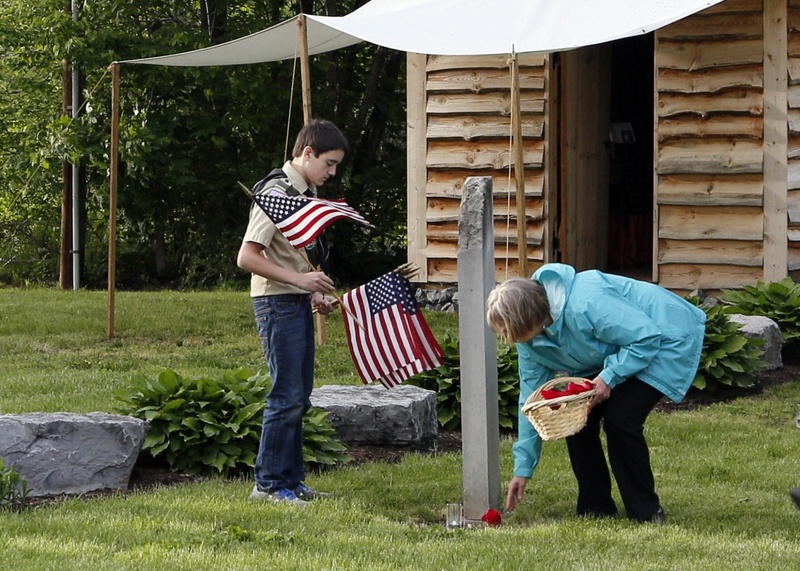 The school located at the Oak Island encampment will commence on Saturday at 1pm following the Memorial Day Parade. 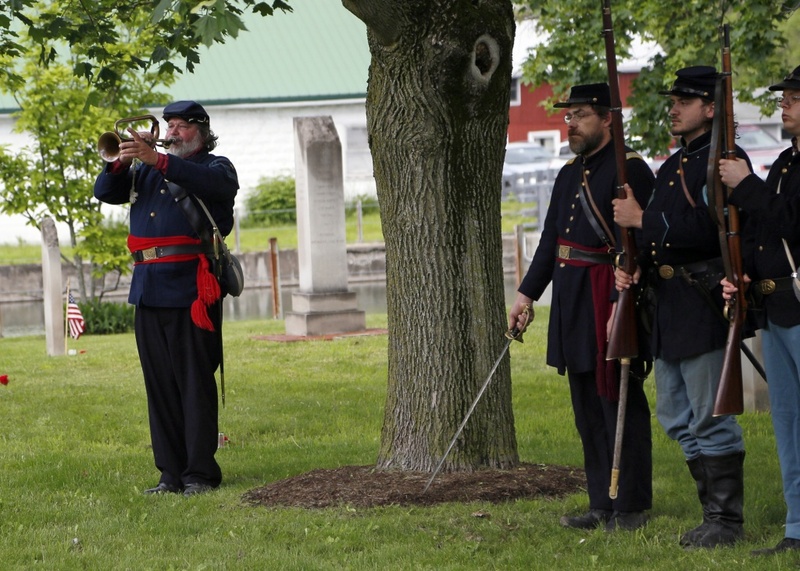 The school is hosted by two Western New York engineer reenacting units. Capt. Ray Ball of Co. A of the U.S. Regular Engineers has been reenacting since 2010 and is a veteran of the Army Corps of Engineers. 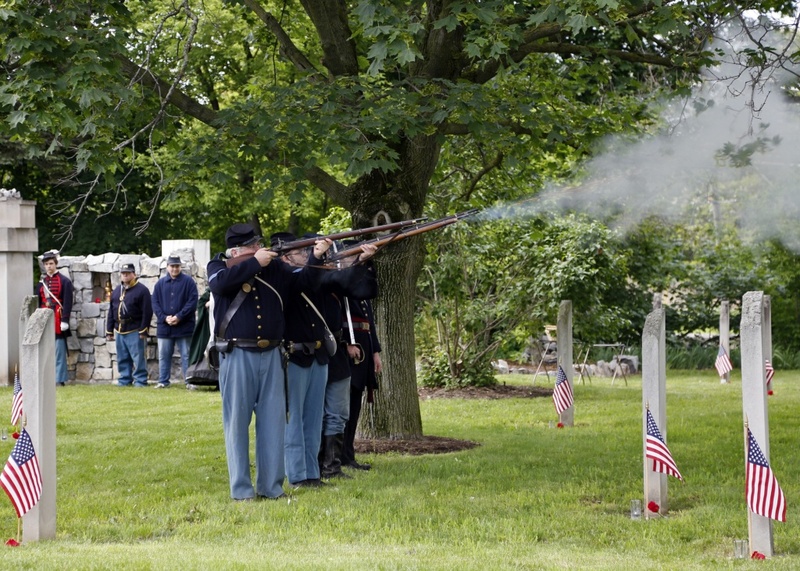 Capt Alex Johnson of Co. F of the 1st N.Y. Volunteer Engineers, has reenacted since 1992 and is a descendant of an immigrant sergeant of the original New York regiment. If you’re so intrigued to, join in on the fun and enlist in either Co. A of the U.S. Regular Engineers or Co. F of the 1st N.Y. Volunteer Engineers. giant map, or to learn about what is happening and where activities are taking place. Klein’s portrayal of Lincoln brings this American icon to life. He bears a striking physical resemblance to Lincoln. His programs are thoroughly researched, historically accurate, and blend Lincoln’s humor with his great humanity. His ability to adapt to any audience and adapt his program’s content to your theme means that you are guaranteed to walk away with new insight into the man and a genuine sense that you have been with Lincoln himself. To prepare for a performance, it takes about an hour with costume and make-up. However, if you happen to have Lincoln in mind, his natural resemblance to Abraham Lincoln can be quite convincing. Several years ago when visiting Washington D.C. he created something of a stir when he walked into Ford’s Theater, the place where Lincoln was shot. Though Klein was dressed in ordinary street attire, with his 6’3″ height and Quaker beard one woman screamed outright when she looked up to see him casually strolling down the stairs. 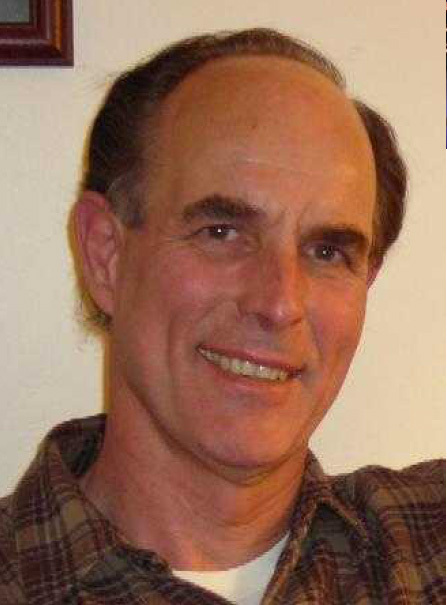 Actor Fritz Klein of Springfield, Illinois has been a professional actor and speaker for many years. His portrayal of Lincoln brings this American icon to life. Klein brings striking physical resemblance as well as historical accuracy, acting ability, humor, and relevance to the audience. Productions vary in content and length according to the need and character of the audience, but you will come away with new insight and the sense that you have been with Lincoln himself. Klein was first asked to portray Lincoln after performing as Lyman Beecher in a local history pageant in Kailua-Kona, Hawai’i where he lived at the time. After a number of requests for repeat performances, he decided to begin extensive research in order to write a one-man production on Lincoln. That production has led to many others. 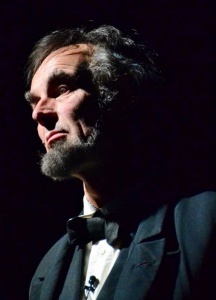 He has since performed as Lincoln in 38 states and internationally as well. He and his wife Linda now reside in Springfield, Illinois where he performs at the new Abraham Lincoln Presidential Museum, as well as many other venues around the country. 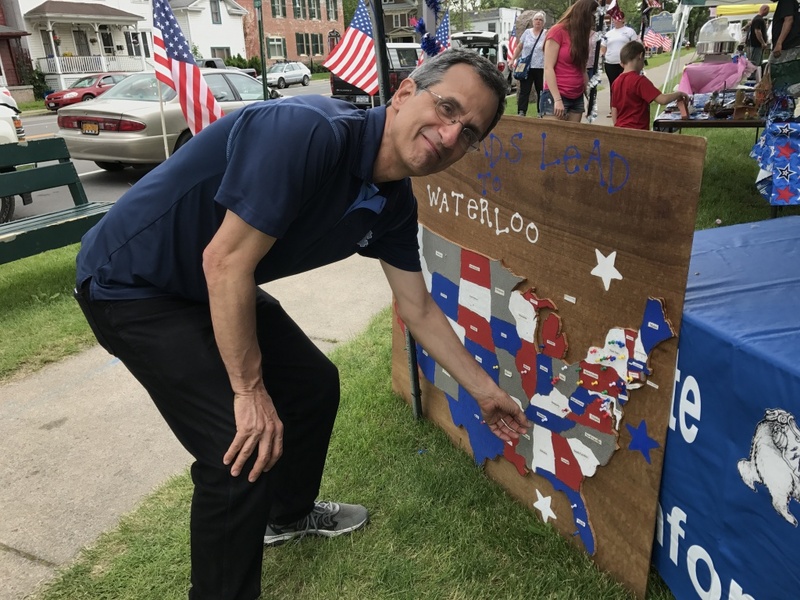 In the summer Klein plays Lincoln in a variety of venues in a program called “History Comes Alive. In 2011 Klein was featured in the National Park Service’s recreation of Lincoln’s Inaugural Journey, travelling from Springfield to Washington, DC. and performing for some 5,000 people enroute. 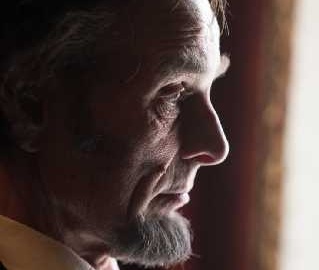 Klein portrayed Lincoln in a feature entitled “Lost River” and four History Channel Lincoln Bicentennial spots, as well as the award-winning Lincoln film at the Lincoln Home National Park “Journey to Greatness” by Aperture films of Los Angeles. On President Obama’s Inauguration night, Klein was Lincoln in the first American showing of a German film called “Lincoln’s Last Night” produced by VIDICOM of Hamburg and again featured at the Smithsonian for the 2013 Inauguration. Klein was also featured in the 2013 Ford’s Theater exhibit put together by History Channel. Klein has also done numerous documentary and feature films for National Geographic, Discovery and History Channel including “Stealing Lincoln’s Body”, “Lincoln’s Secret Killer”, and “American Mastermind”. In 2013 the Smithsonian film, “Lincoln’sWashingtonWar” aired in 2013, on the Smithsonian Channel, and he appeared on National television with “Larry the Cable Guy”. In April 2015 a new documentary “Lincoln’s Last Day” aired on the Smithsonian Channel. Recent plays include a 2012 role in the Pulitzer – Prize nominated production “The Heavens Are Hung in Black” by James Still, and a 2014 appearance with actor Carlo Garcia in “Of Mutual Interest – Lincoln and Mexico” before Illinois Governor and delegates from Mexico. In the Fall of 2014 a new Ken Bradbury play about Lincoln’s assassination called “Last Full Measure” opened at Union Theater in the Abraham Lincoln Presidential Museum. That play will continue to run in locations around the country through 2016. President Abraham Lincoln (Fritz Klein) speaks at the American Civil War memorial in Waterloo, New York. 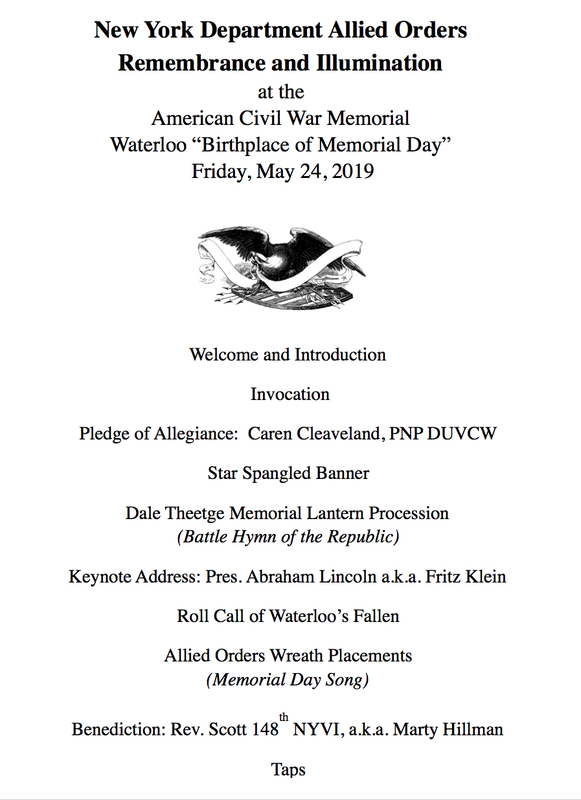 As keynote speaker at the annual Illumination Ceremony, He was asked to make some comments about the battles at Gettysburg and his part in the dedication of the cemetery. 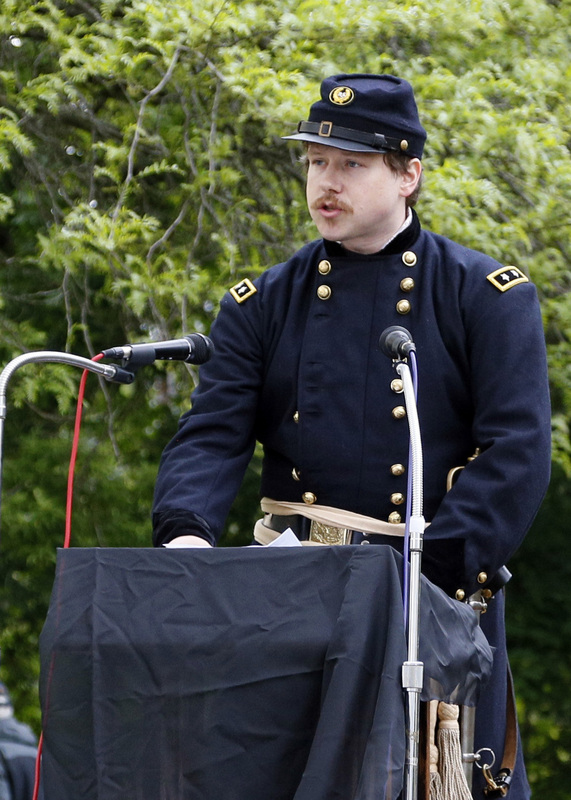 His comments conclude with his famous Gettysburg Address, recited as only the President could. The parade will line up at 10:30 a.m. and step out promptly at 11 a.m. for the march down Main Street. 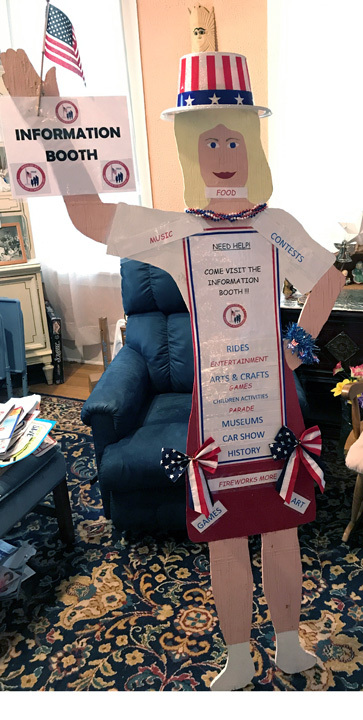 A float by Girl Scout Troop 60562 will honor all veterans. 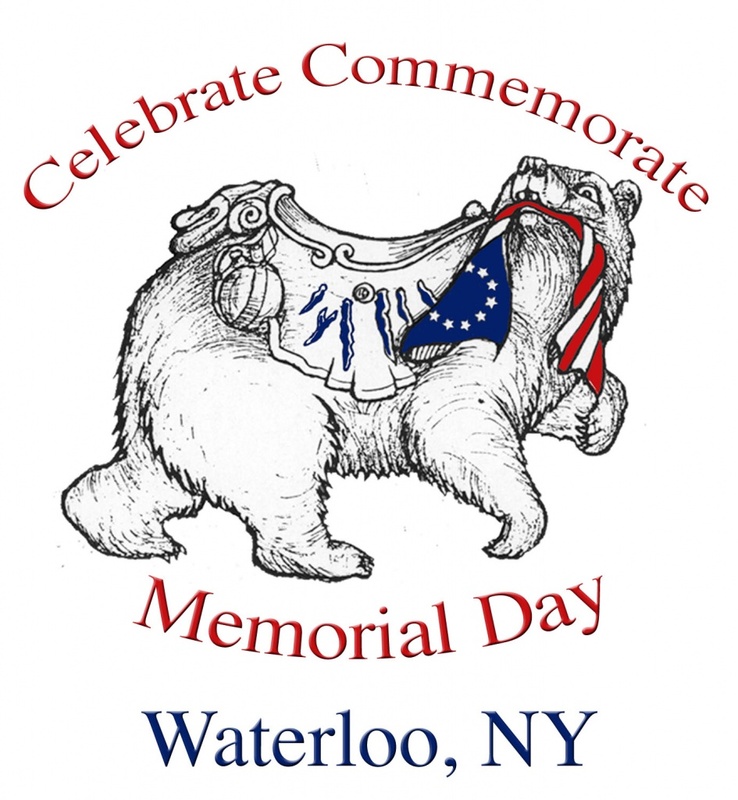 Any Vet who would like to ride on the float is invited to call Sarah Smolinski at 315-745-9928 or Nicole Hunsberger at 315-719-5247. 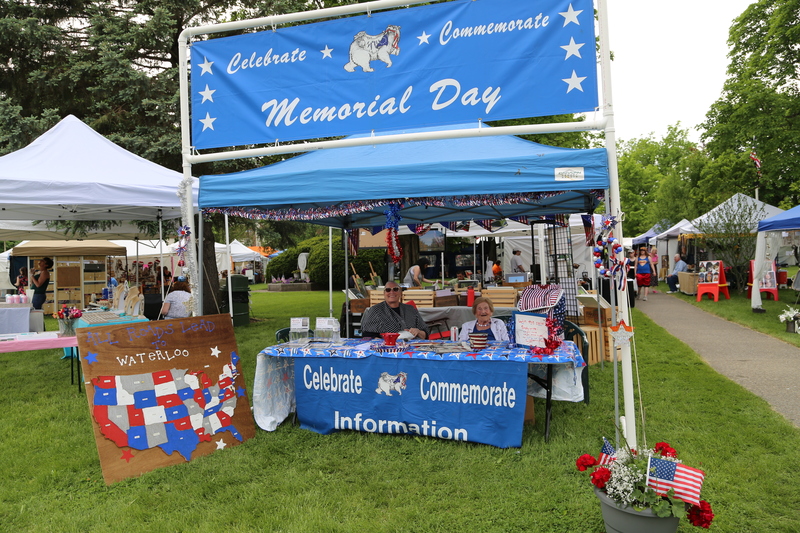 Veterans will follow in cars, motorcycles and especially buses from the VA hospital in Canandaigua. Those who want to drive their own cars must have at least three people in the vehicle. Following the parade, vets will be hosted at a chicken barbecue lunch at the VFW. 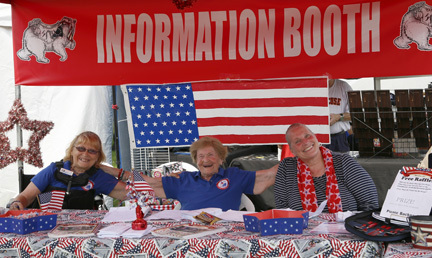 Please RSVP to Karen Lewis at 315-651-9513 to allow the VFW to plan for enough food. Groups that have been in the parade before know what fun it can be. Once again, there will be divisions for military and officials; youth organizations, schools and families; churches, senior citizens and organizations; and vehicles. 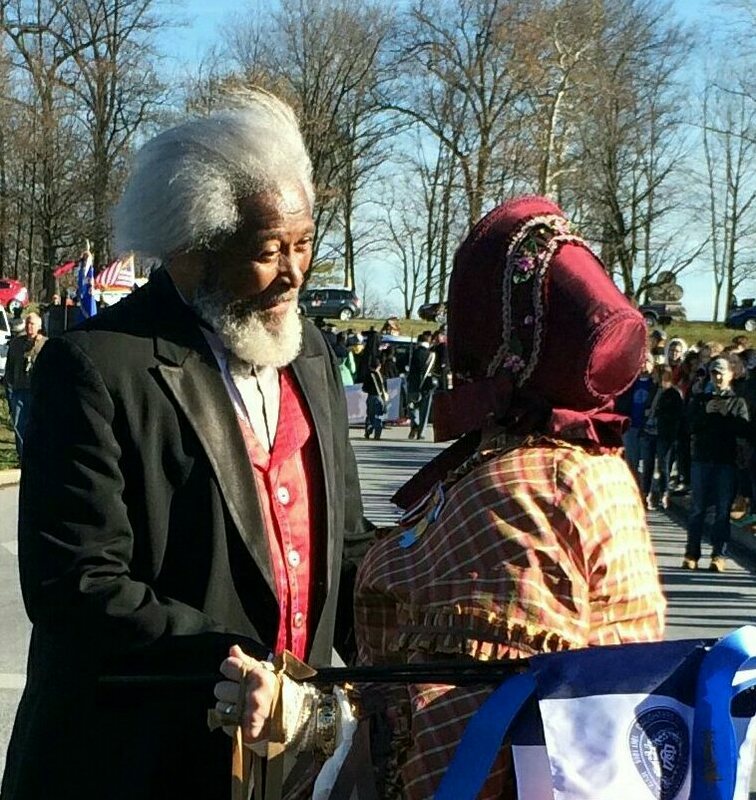 The Civil War and American Revolutionary War re-enactors will have a “parade within a parade.” Watch for special “dignitaries” in this year’s parade including US President Abe Lincoln, Frederick Douglass and Harriet Tubman. The very popular Hit Men Brass Band will join Downbeat Percussion, Mighty St. Joe’s Alumni Drum & Bugle Corps, the Waterloo Central School Band and the Finger Lakes Pipes & Drums in the lineup this year. 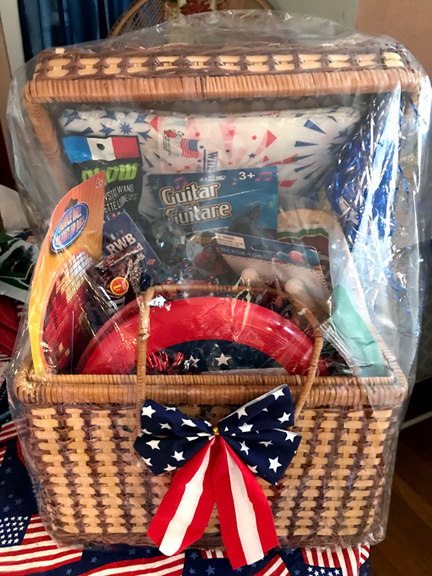 Bring your chair and wave a flag to honor our vets and community stars! The boating experience that should not be missed! Depart Oak Island, Waterloo, aboard the Seneca Lake Reel Tours, a 50-foot catamaran, and travel down the Cayuga-Seneca Canal passing through the Waterloo lock and descending 15 feet. Drinks and snacks available for purchase. Bathroom on board. Tickets will also be available for purchase prior to departure. 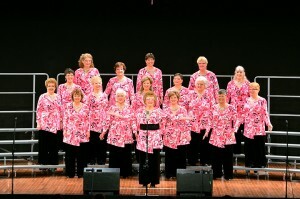 Tickets: Adults $15.00 & Children $10.00 (ages 10 and up). 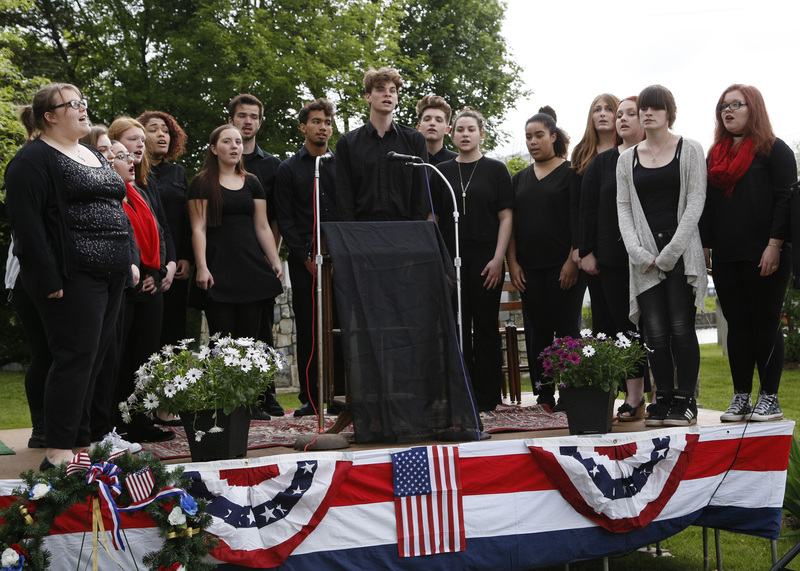 April 24, 2019 Celebrate Commemorate Articles, Celebrate Commemorate Events, Musical Entertainment, NewsFingerLakes1.com, Inc.
We are proud to have Women’s Rights National Historical Park as a sponsor again this year. The M’Clintock House on East Williams Street was the home of Thomas and Mary Ann M’Clintock from 1836-1856. The family were active Quaker abolitionists, actively engaged in the Underground Railroad, and were major organizers of the first Woman’s Rights Convention held in Seneca Falls, NY, in July of 1848. 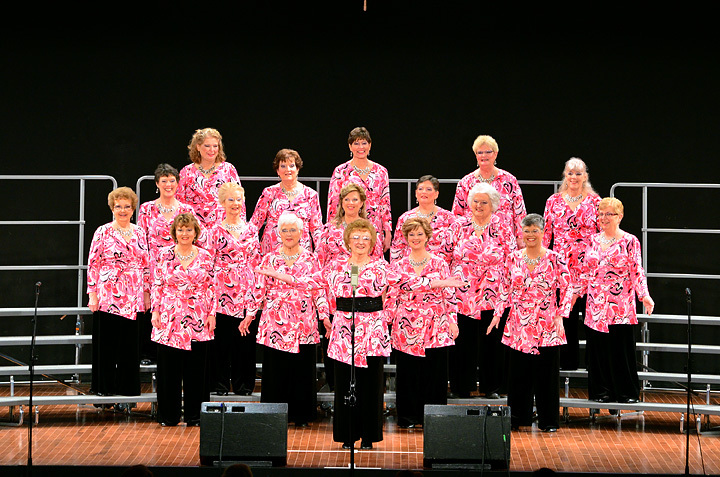 On Saturday at 1:15 AND Sunday at Noon, The beautiful harmonies and songs of Merry Mischief from by gone times will set the mood in advance of the characterizations of Elizabeth Cady Stanton. 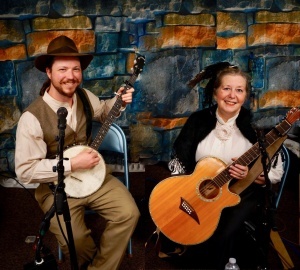 Step back in time with music and learn from the wisdom of those who have tread the stairs of politics and women’s rights at this historic museum. 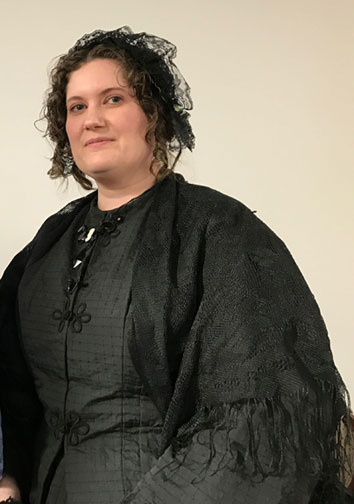 At the M’Clintock House at 1:45 pm and 3:00 pm Saturday, May 26th and 12:30 pm Sunday, May 27th, there will be Historical dialogues on women’s rights and women’s suffrage featuring Elizabeth Cady Stanton, Portrayed by Dr. Melinda Grube. at 11:00-11:45 Sunday at Pavilion 1. General Ulysses Grant a.k.a. Larry Clowers, Robert E. Lee a.k.a. Robert R. Joy, Sojourner Truth a.k.a. Carolyn Evans, Frederick Douglas a.k.a. Michael E. Crutcher, Sr. In early 1863 Brigadier General Lorenzo Thomas Sr. was sent to the Mississippi Valley by the Honorable Edwin M. Stanton, Secretary of War to organize self-emancipated “slaves” into regiments of United States civil war troops. On April 12th while at Milliken’s Bend, Louisiana headquarters of General Grant, he was satisfied that 20,000 troops alone, could be organized on the west bank of the Mississippi in answer to Douglass’s Call to Arms at the time. In April U. S. Colored Troops fought Confederate Armies at Pascagoula Mississippi and won. In May they lost in battle at Port Hudson near Baton Rouge, while proving they could and would fight their “masters.” In June they won in battles of Fort Butler in Donaldsonville and Milliken’s Bend, Louisiana. On July 4, they won in battle at Helena Arkansas. These battles were for Union control of Mississippi River and victory at Vicksburg. Up and down the Mississippi River and her tributaries, thousands of able-bodied African Descent males joined and were recruited into the Union military as freedom fighting soldiers, sailors and cavalrymen. Thousands of other African Descent men, women and children served the cause for freedom as spies, scouts, nurses, cooks, laundresses, servants, teamsters, stevedores, foragers, wood choppers, general laborers, field hands, blacksmiths and builders of forts, breastworks and roads.